I have my breakfast staples: english muffin with almond butter, egg, or cottage cheese; or oatmeal. If I get it together before the week starts, I may have granola with yogurt or blueberry muffins or pumpkin muffins or banana bread. On the weekends, Ryan and I love to make delicious breakfasts to enjoy with our coffee. He might make bacon and eggs, or I'll make pancakes or our fave, almond butter and berry french toast. While I love all of those options, we recently woke up on a Sunday morning and wanted something different for breakfast. None of our usuals sounded quite right. While thinking of ideas, Ryan suggested, "what about...salmon omelettes?" Interesting. I wasn't expecting that to come out of his mouth. But we did have salmon, and the idea was intriguing. So... we made salmon omelettes. And guess what? They were amazing. Guys, you havvveee to try these. If you like salmon and you like omelettes, this is for you. We mixed the salmon with creamy spinach and sautéed onions and garlic and dill... the result is a super unique, flavorful, unexpected breakfast. This would be great for impressing guests, but it's also wonderful for a special meal for 2. Valentine's day treat, anyone? It is pink! It's pretty easy to make, too. Takes a little extra time since you have to bake the salmon, but no biggie. It comes together in half an hour total, and it's the perfect breakfast change-up. Place a 6-8 oz. 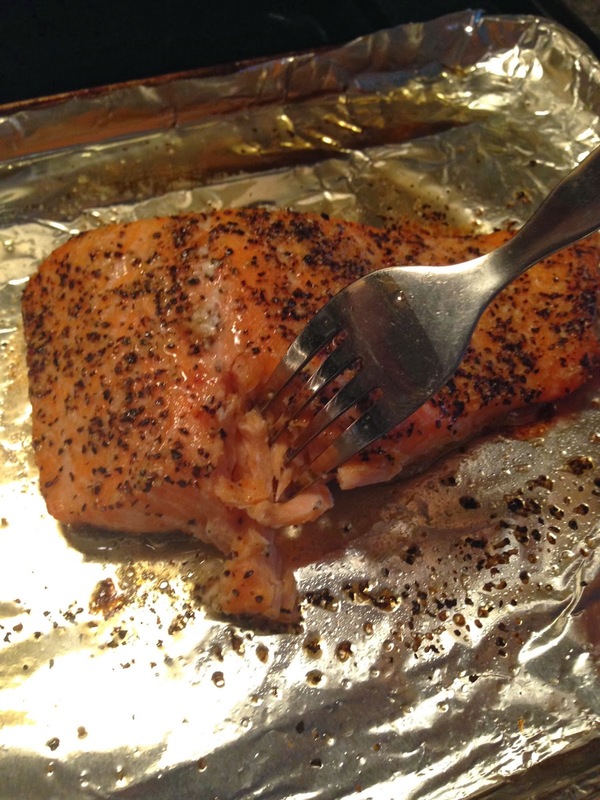 salmon filet on a foil-lined baking pan. Drizzle with olive oil, then season with salt and pepper. Bake for about 20 minutes at 400 degrees, or until it flakes easily with a fork. 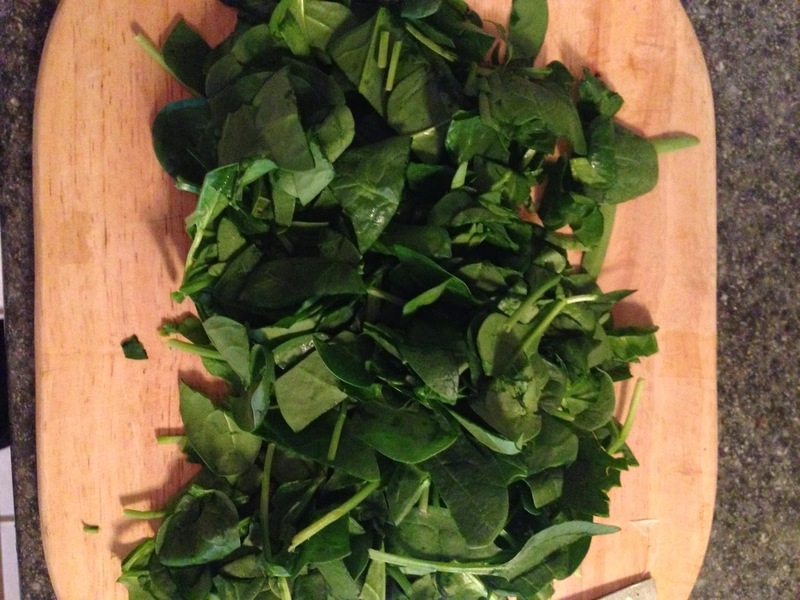 Meanwhile, chop up a couple cups of baby spinach into thin strips. 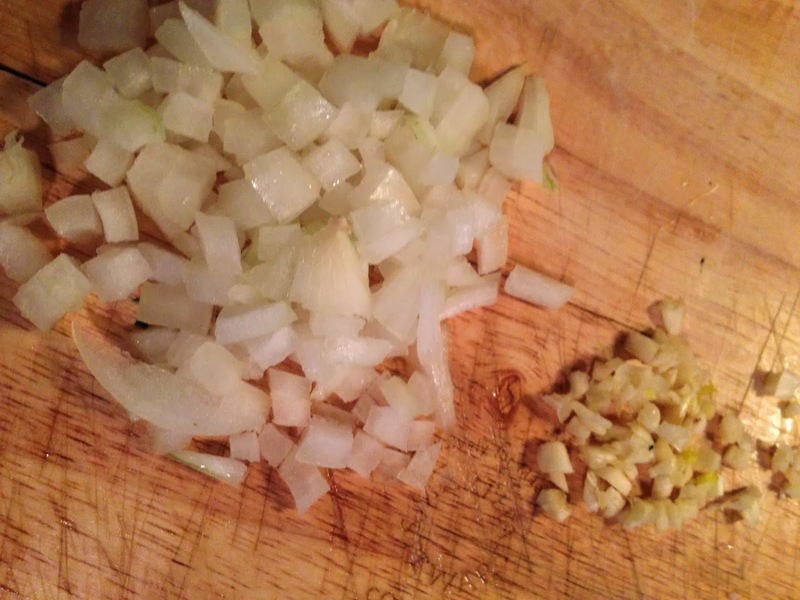 Also chop some onion and a clove of garlic. 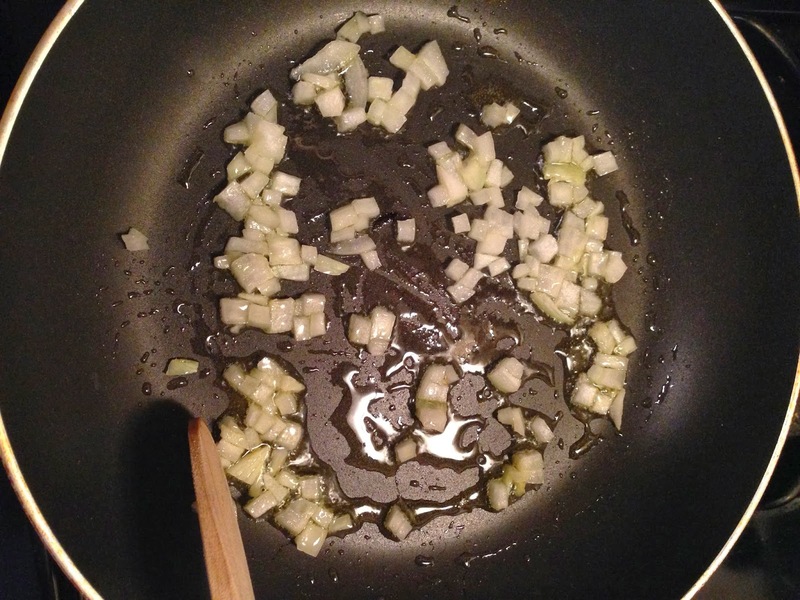 Heat a tablespoon of EVOO over medium heat, then add the onion. 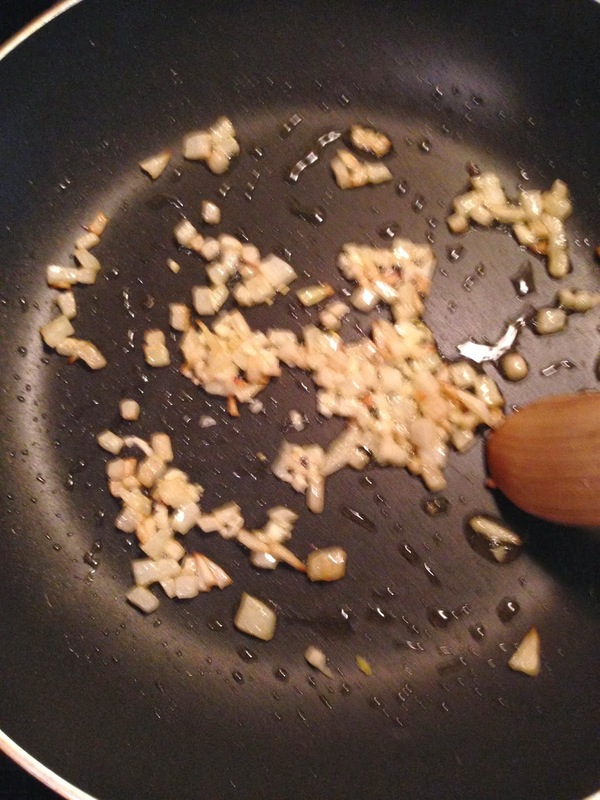 Sauté until the onion is becoming translucent, 4-5 minutes. Add the garlic and sauté for another 30 seconds or so. Cook until it's just wilted, about 60 seconds. 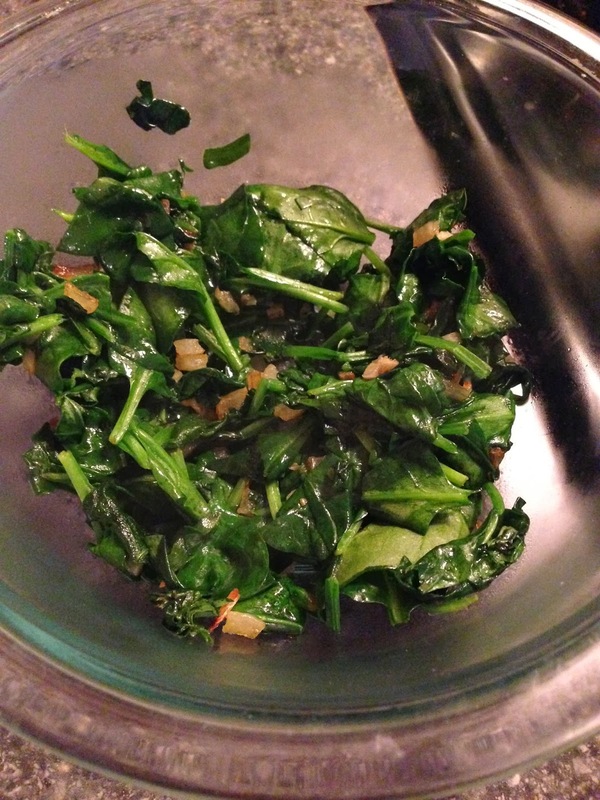 Pour the spinach and onion mix into a medium bowl. To the bowl, add 3 tbsp whipped cream cheese, 1/2 tsp dill, 1/4 tsp sea salt, and 1/4 tsp pepper. Yum... I could eat that as a dip. 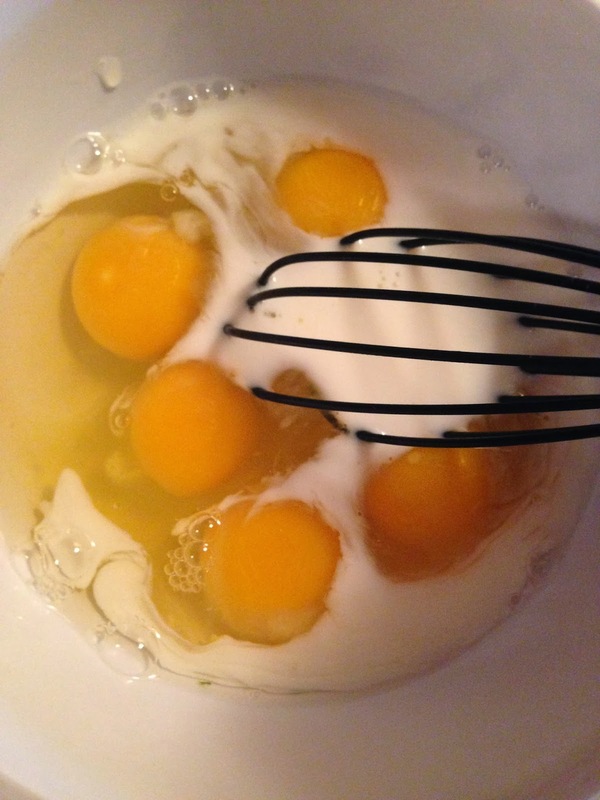 Now, whisk together 5 eggs with 1/4 cup milk... and whisk well! 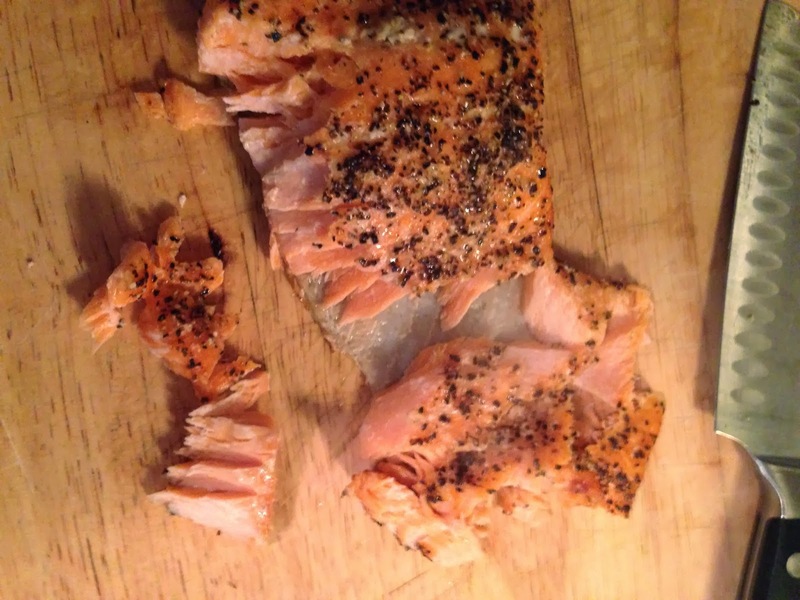 Check to see if the salmon is ready... it should flake easily with a fork. Move to a cutting board and flake it into bite-sized pieces, pulling it away from the skin. 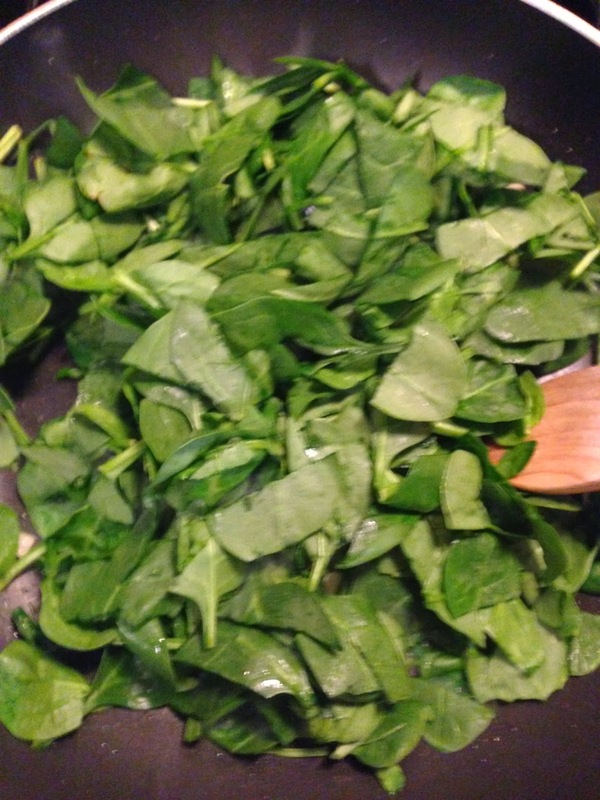 Now, add it to the spinach mixture and mix until just combined. Time to make the omelettes! 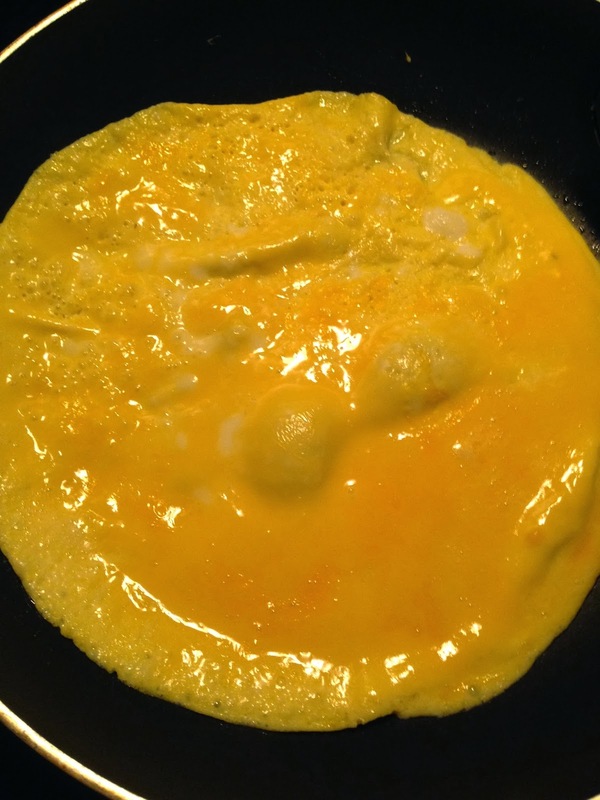 Melt about a tsp of butter in a nonstick skillet over medium heat. Spread the butter around and let get hot. Pour your egg mixture into a measuring cup so you know how much to pour in (half, since we're making 2 omelettes). Pour half of the egg mixture into the pan. Let sit and cook for a few moments, until the edges begin to turn up a little. 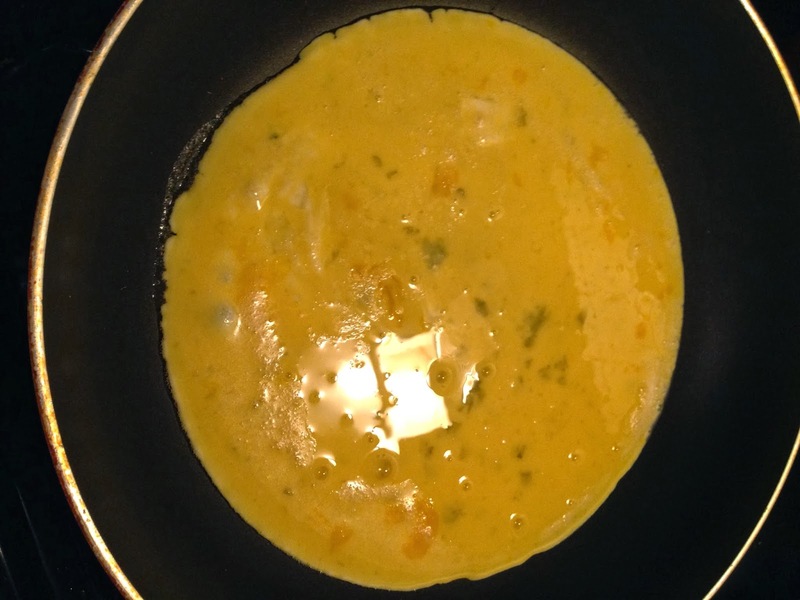 When it gets to this point, you should be rotating the skillet so that the liquid on top of the omelette slides down underneath the cooked egg, and it all can cook. Then... flip! This is the hard part, and obviously I didn't do a perfect job! No worries. 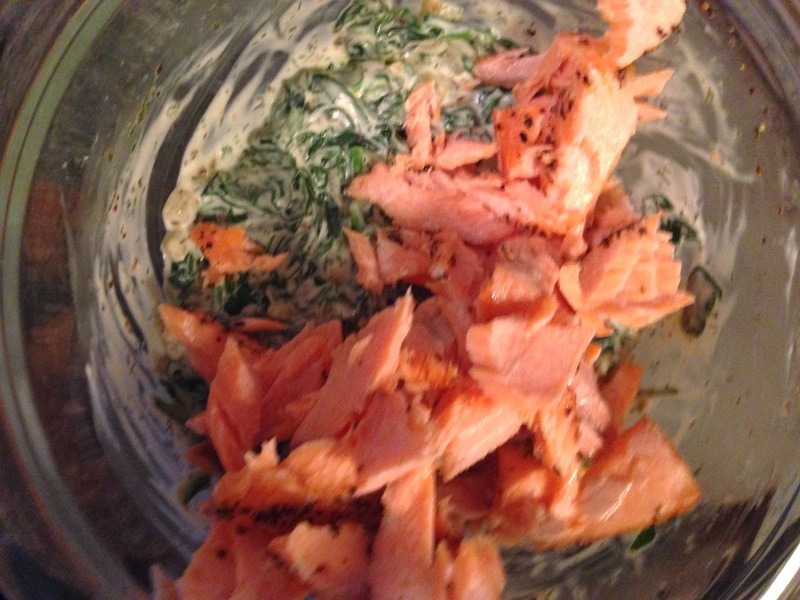 After you flip, put half of the spinach/salmon mixture onto one half of the omelette. 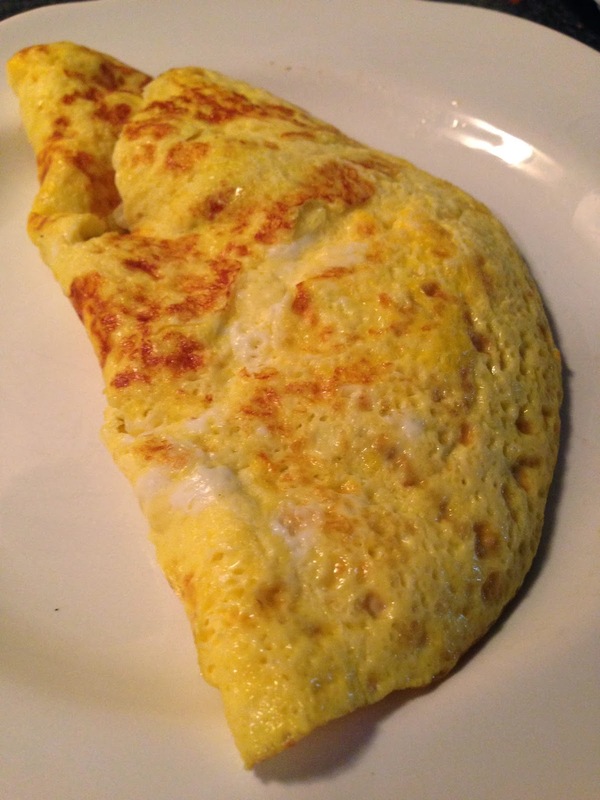 Close it up and slide the omelette onto a plate. That's it! -Preheat the oven to 400 degrees. 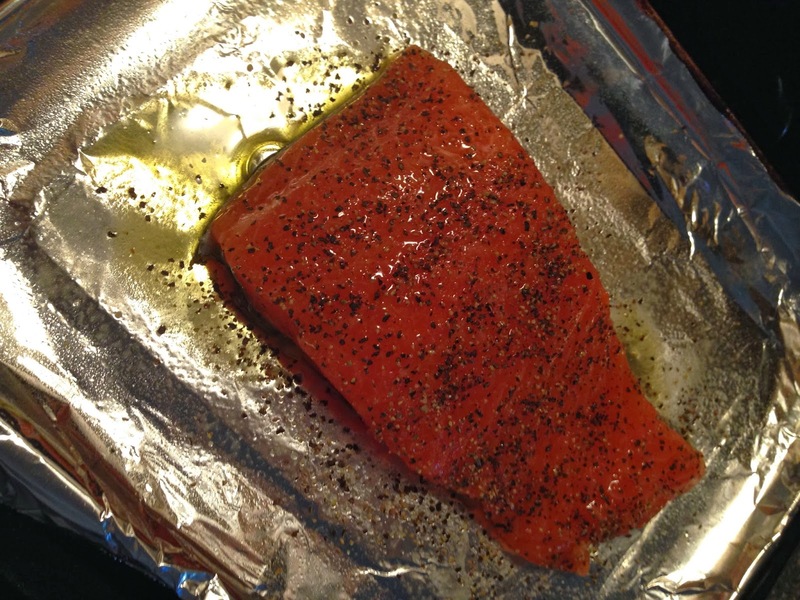 -Place the salmon filet, skin side down, on a foil-lined baking pan. Drizzle with 1 tbsp of the olive oil then season well with salt and pepper. 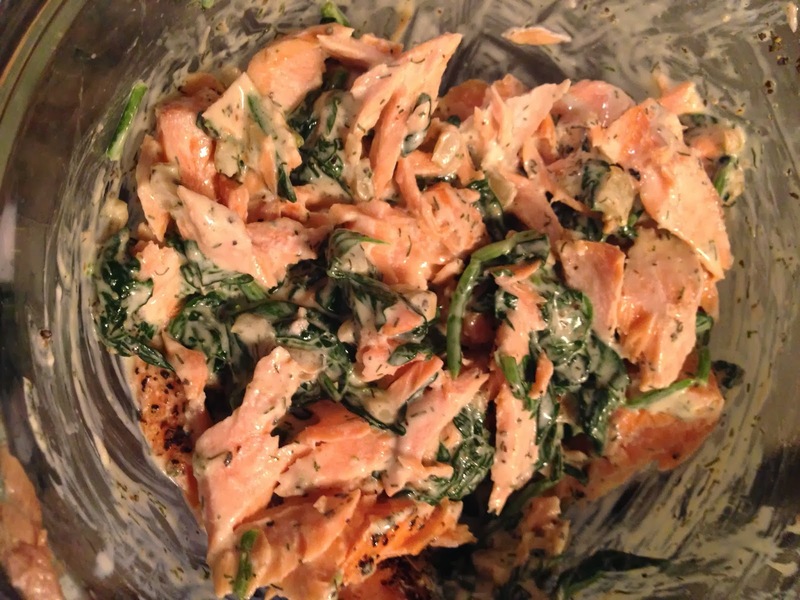 Bake for about 20 minutes, or until the salmon flakes easily with a fork. -Meanwhile, heat the other tbsp of olive oil in a medium skillet over medium heat. Add the onion and cook until translucent, 4-5 minutes. Then, add the garlic and cook for another 30 seconds. 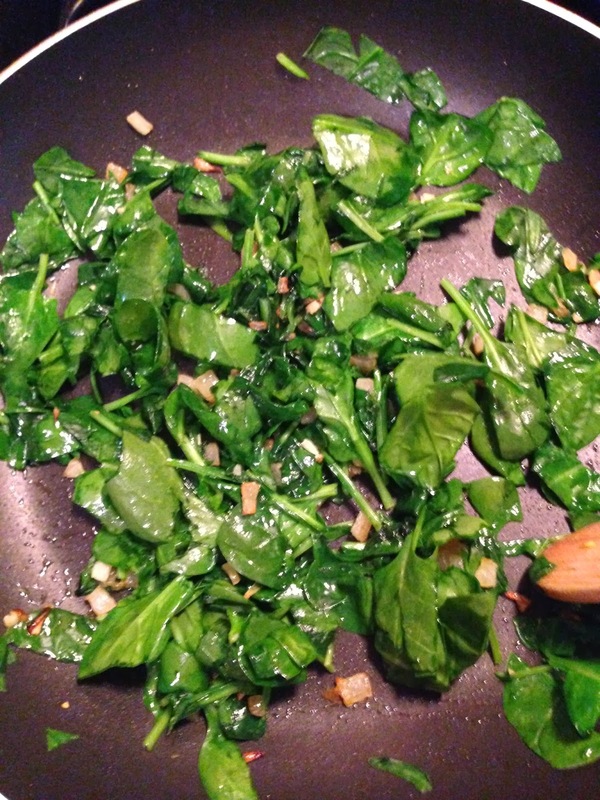 Then, add the spinach and cook until just wilted, another 60 seconds or so. Pour the mixture into a medium bowl. 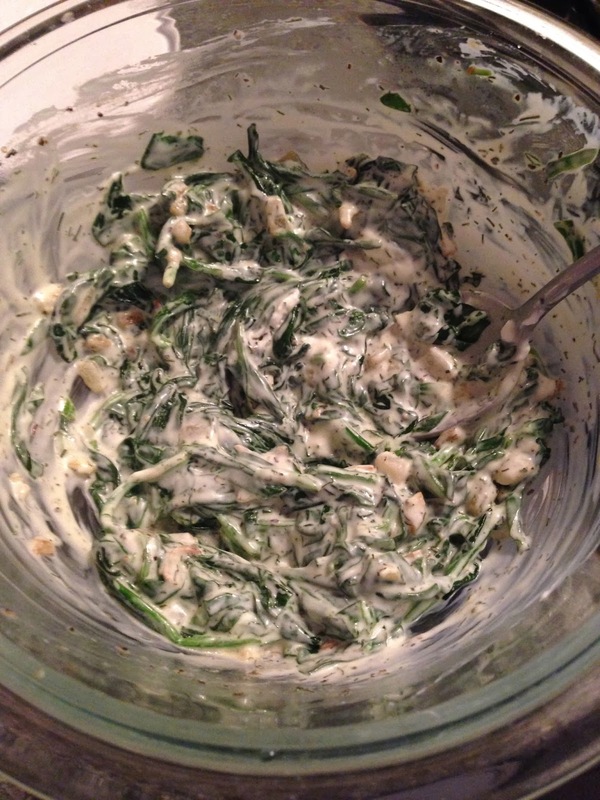 -To the bowl with the spinach and onion, add the cream cheese, dill, and about 1/4 tsp each salt and pepper. Mix well. -In a separate bowl, whisk together the eggs and the milk. Whisk until very smooth, at least 60 seconds. 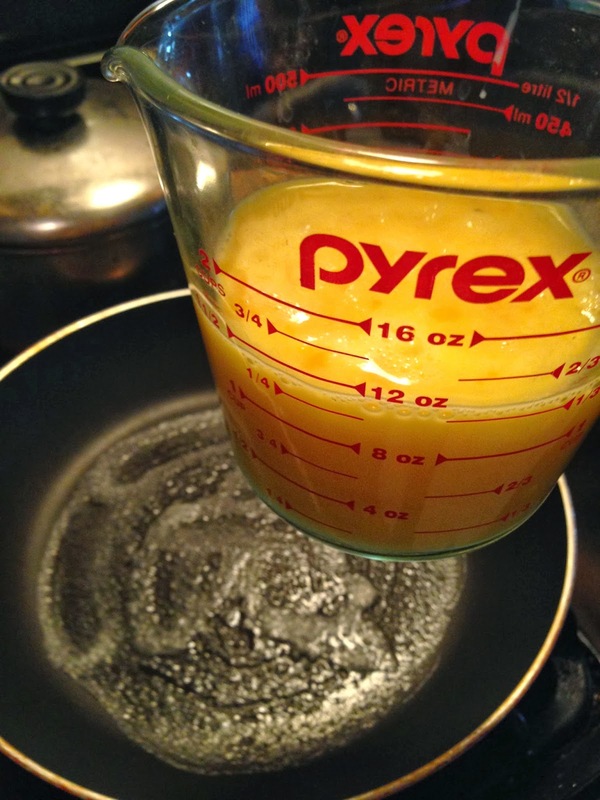 Pour the egg into a measuring cup. 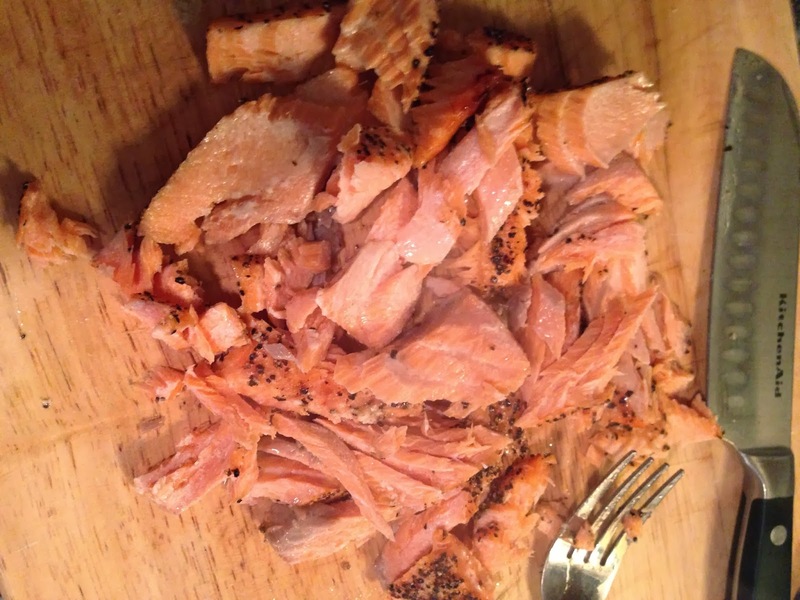 -Once the salmon is done, flake it away from the skin with a fork into bite-sized pieces. 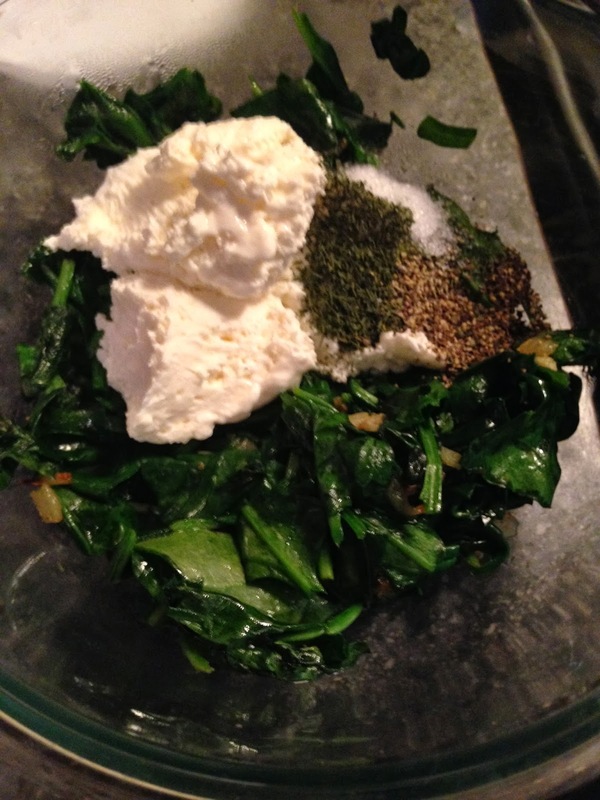 Add to the bowl with the spinach mixture and mix until just combined. 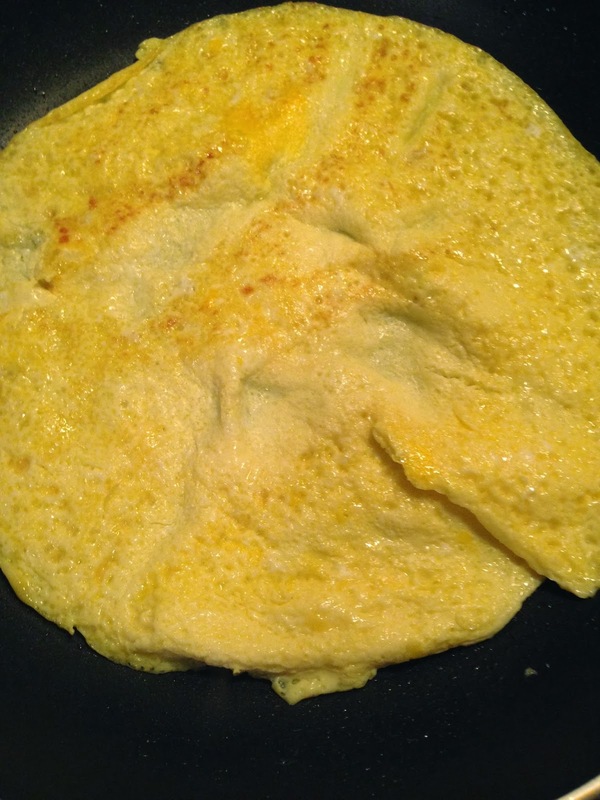 -To make the omelettes: for each one, heat 1 tsp of butter over medium heat in a 10 inch nonstick skillet. Spread the butter to cover the pan. 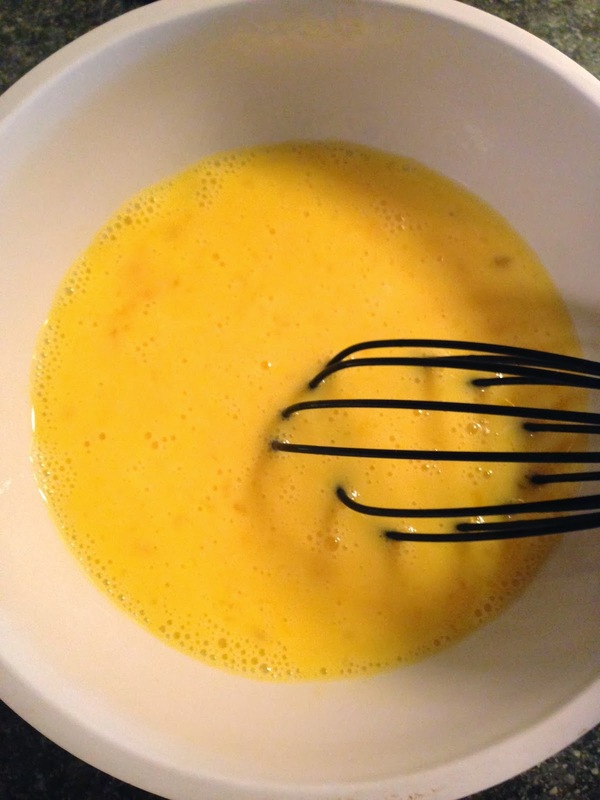 Pour in half of the egg mixture. Let cook for about a minute or so, or until the edges begin to turn up a bit. When it gets to this point, you should be rotating the skillet so that the liquid on top of the omelette slides down underneath the cooked egg, and it all can cook. Then, carefully flip the omelette. 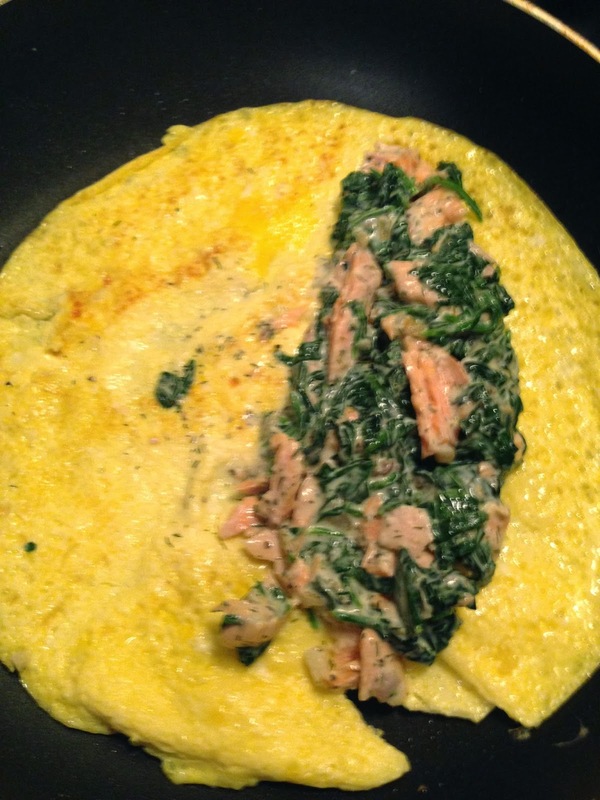 Once it's flipped, pour half of the salmon/spinach mixture onto one half of the omelette. Slide off the skillet onto a plate and fold in half. Enjoy! ummmmm. i die for this. looks incredible!